The Alphatian Yacht is a very Spelljammer-esque ship, and suits the setting very well. The design of this ship lends itself very well for a pleasure craft of wealthy aristocrats, as well as a fast, light trader. 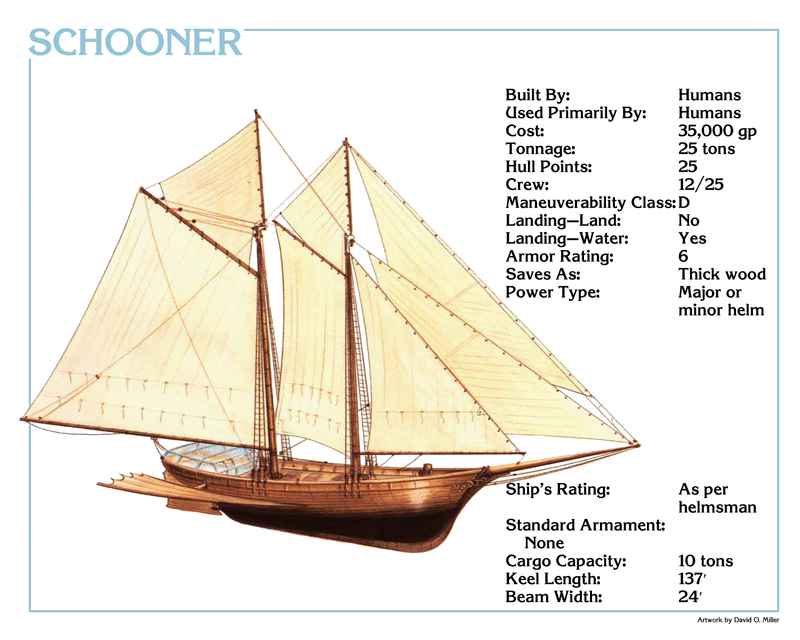 Description: The schooner is based on a medium sized sailing vessel, but built for space travel. It is designed with maneuvering fins on the side, which grant it superior maneuverability compared to ships of similar design. Created primarily as a pleasure craft, it typically contains a number of comforts not seen on other ships of its size. As a consequence, these vessels rarely have any weaponry installed, although some ship owners who worry about pirates or other wildspace threats may equip it with a turreted medium weapon or a jettison. The aft section of the top deck contains the helm and bridge, as well as the controls for the maneuvering fins. It is completely enclosed in glass (glassteel windows being an extra charge) for added protection, and doubles as a sun room for passengers. Schooners that carry cargo typically do so in the area normally designated as the lounge, along with most of the cabins except those in the back and those forward of the galley. This modification brings cargo capacity up to 13 tons and replaces the rear skylights with cargo hatches. 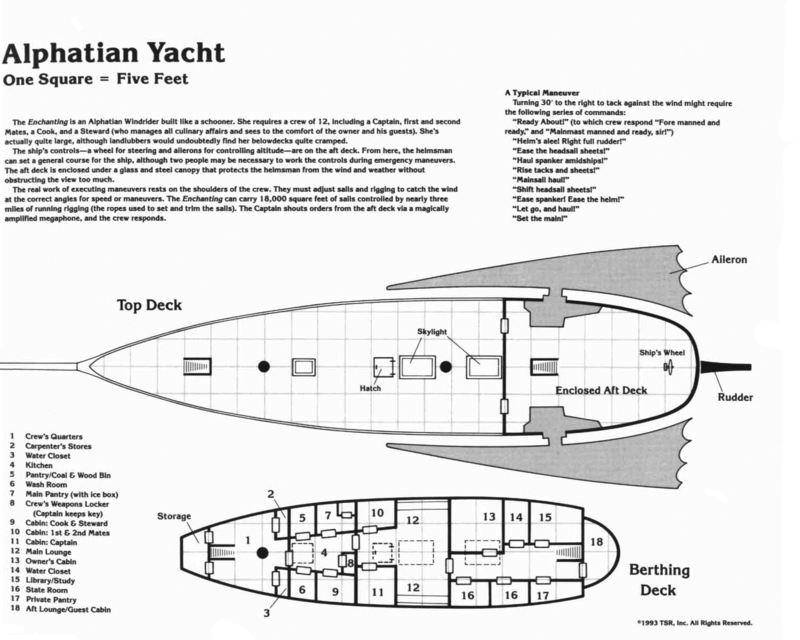 Very little needs to be modified on the layout for the pleasure craft. For a light trader, the locations at 10, 11, 13, 14 and 16 are all removed for cargo storage.